2 Bdrm Grnd flr Flat. Hall. Lounge. Breakfast kitch. 2 Bdrms. Bathrm (CT band - B). Garden. Parking. 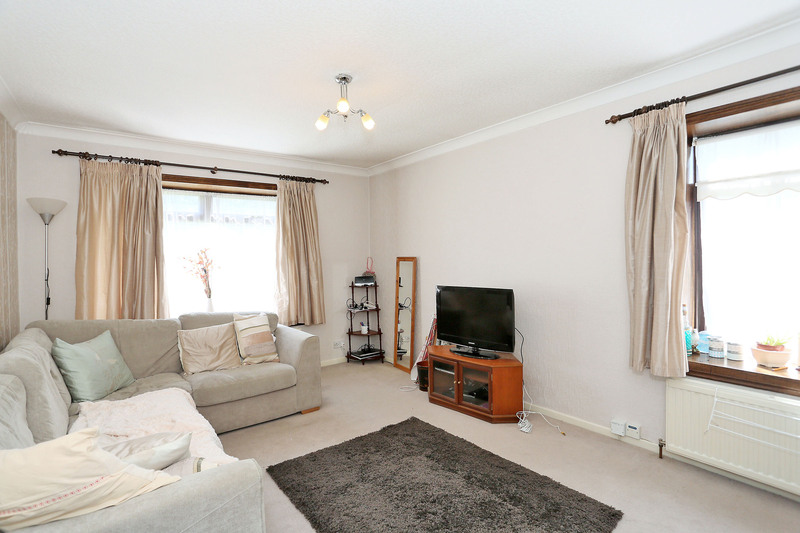 Fixed price £95,000 Entry by arr. Viewing 07891 735225 evenings and weekends or or contact solicitors. (EPC band - D). 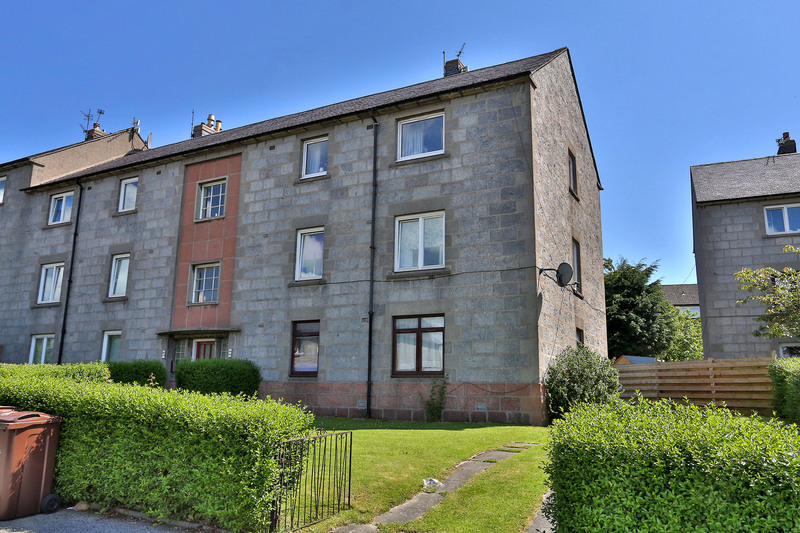 We are pleased to offer for sale this two bedroom ground floor flat situated within the popular residential area of Kincorth. 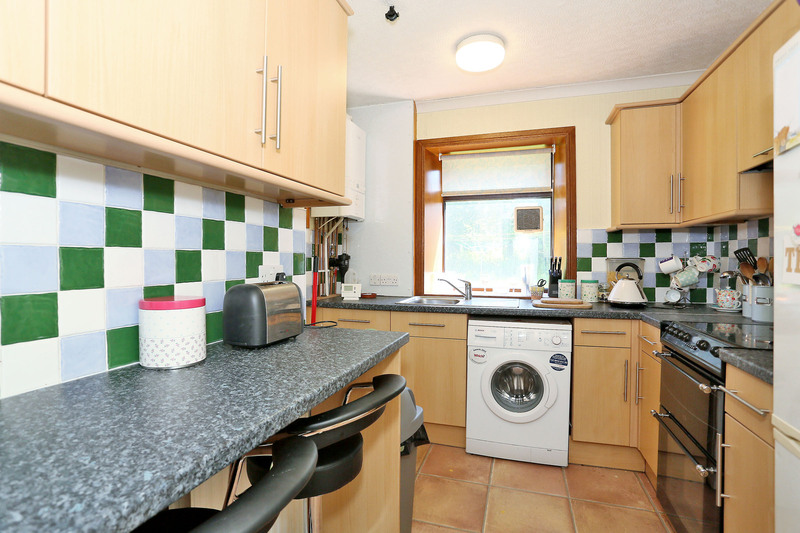 The flat boasts gas central heating, uPVC double glazing and all carpets, curtains, blinds, light fittings, the slot in cooker, automatic washing machine and fridge freezer are included in the price. The property also benefits from an exclusive area of garden ground at the front of the building, which also provides off street parking. Adjacent to the flat, but within the building itself, is an exclusive cellar and there is also a shared drying green at the rear. 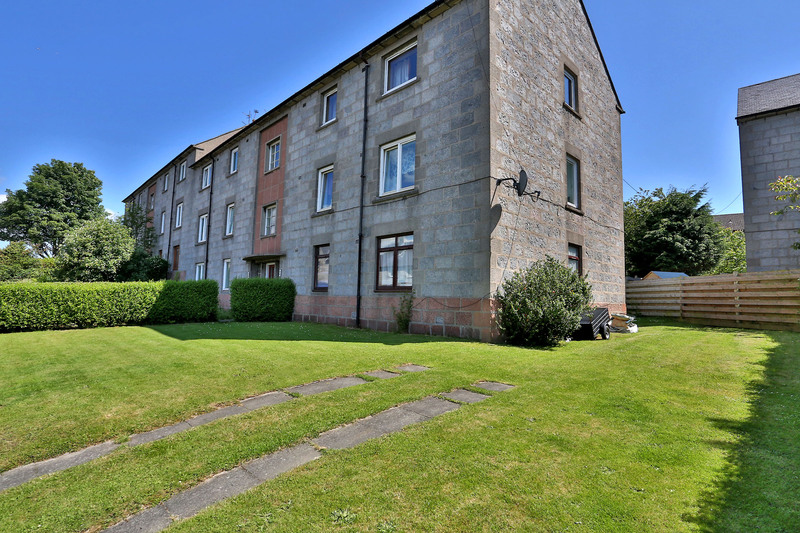 Kincorth is a well-established residential area to the south of the City, and is well served by a range of local amenities, including primary and secondary schools, shops and leisure facilities, which include a sports centre and a swimming pool. The Duthie Park is within easy walking distance, and there are good public transport links to the City, together with easy access to the A90 to the south. Kincorth is also very convenient for the retail park at the Bridge of Dee and Robert Gordon University, in addition to the industrial estates at Portlethen, Altens and Tullos. 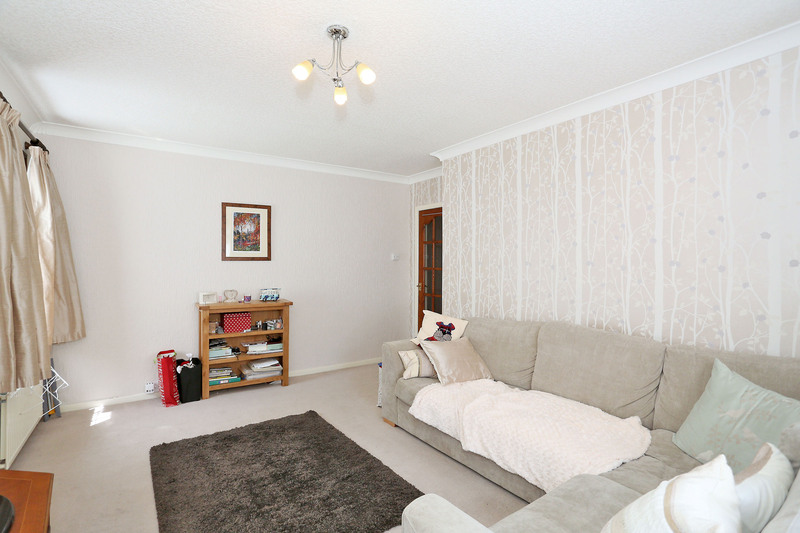 The accommodation comprises entrance hall, lounge, dining kitchen, two double bedrooms and bathroom with shower. HALL: uPVC door with glazed inset. Cupboard housing electric circuit breaker. Central light fitment. Fitted carpet. One double power point. Double radiator. Deep shelved storage cupboard. Security entry phone. LOUNGE: (17’ x 13’3” approx.) This is a bright, airy room decorated in neutral tones, and benefits from having two picture windows, one overlooking the side of the building and one at the rear of the building, both decorated with net screens. 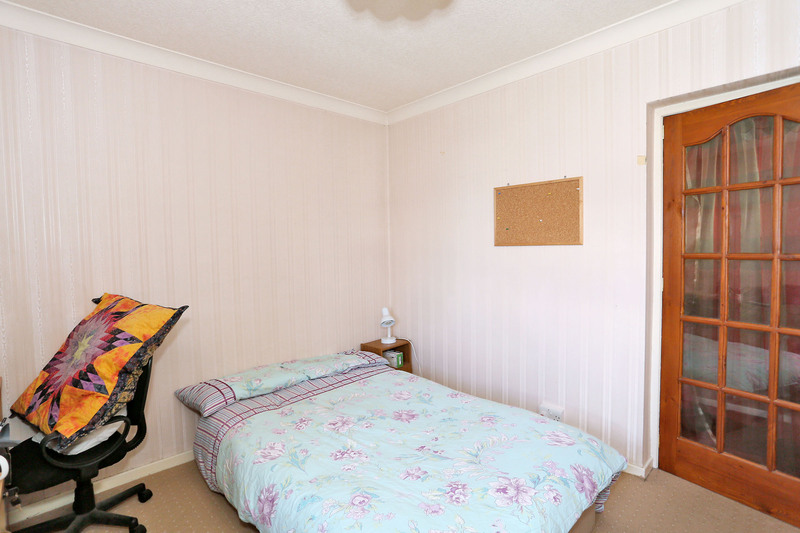 Fitted self-coloured carpet. Two double radiators. Central light fitment. Four double power points. TV point. Telephone point. KITCHEN: (13’ x 9’6” approx.) This is a fully fitted kitchen with natural wood wall and base units, and contrasting worktops with splashback tiling above. Inset stainless steel sink with single drainer and mixer tap. Slot in cooker, fridge freezer and the automatic washing machine will remain. Concealed extractor hood. Breakfast bar. Laminate flooring. Wall mounted “Ideal” combi boiler. Five double power points. Picture window with roller blind. Double radiator. BATHROOM: The bathroom would benefit from upgrading, but at the moment comprises a three piece white suite with Mira Sport instant electric shower above the bath and glass shower screen. The wash hand basin and WC are set into a vanity unit. It is fully tiled throughout. Frosted glass window. Single radiator. Fitted carpet. BEDROOM ONE: (16’ x 10’9” approx.) 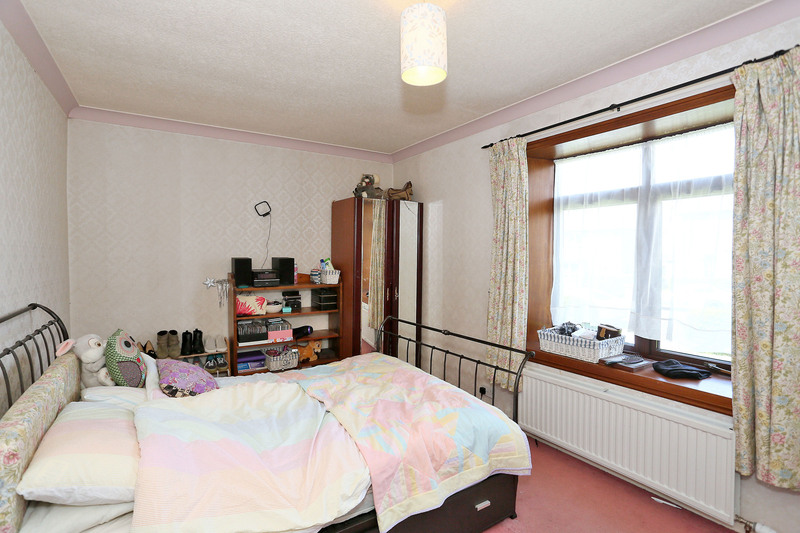 Overlooking the front garden, this bedroom has a picture window with net screens and curtains. Ample space for freestanding furniture. Deep storage cupboard. Central light fitment. double radiator. Four double power points. Telephone point. Fitted carpet. BEDROOM TWO: (11’6” x 11’ approx.) Also overlooking the front of the building, the second bedroom has a picture window with venetian blinds. 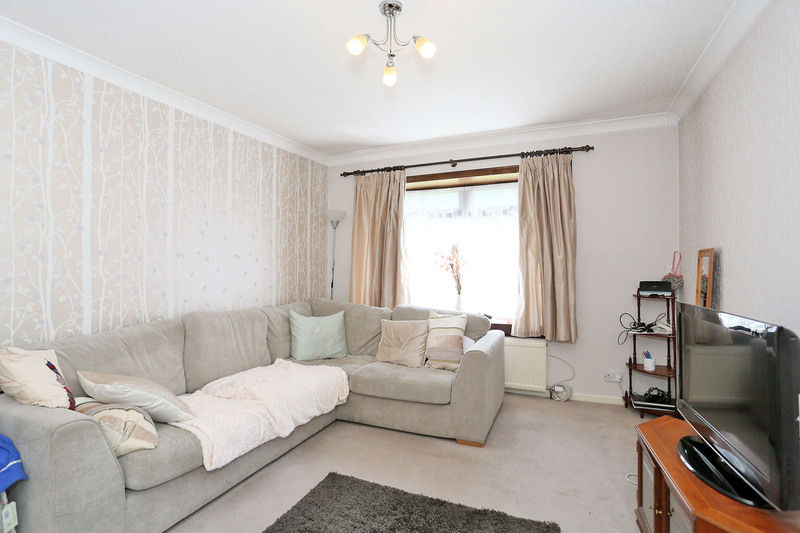 Fitted self-coloured carpet. The curtains will remain. Central light fitment. Deep double wardrobe. Four double power points. 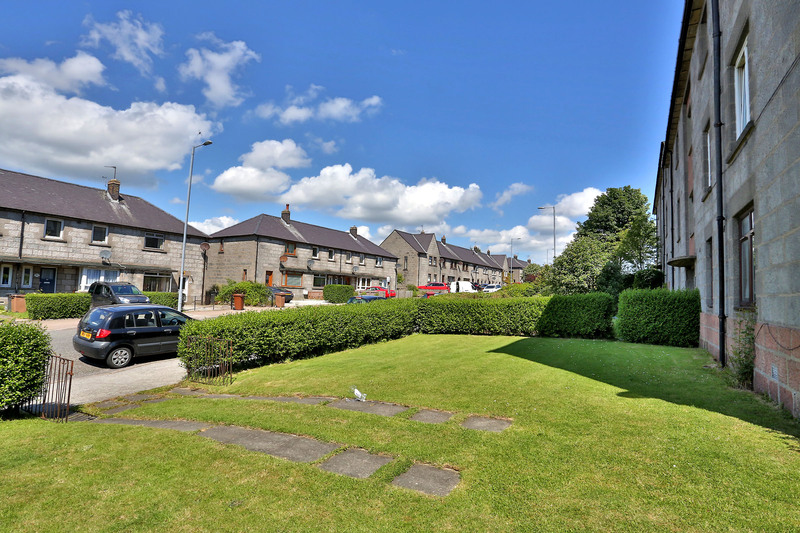 OUTSIDE: At the front of the property there is an exclusive area of garden ground providing of street parking, and a share in the communal drying green at the rear. DIRECTIONS: From the centre of Aberdeen, continue onto Holburn Street. At the roundabout, take the second exit onto Great Southern Road, and continue ahead at the next two roundabouts. After crossing the River Dee, take the second exit at the next roundabout onto Provost Watt Drive, and then turn third right into Faulds Gate. Number 159 is situated some distance along, and is clearly marked by our for sale sign.